Now that the fury in Baltimore has seemed to quiet down, I thought I would share some of my own perspectives on what is going on. We bring our narcissism to these kinds of things. They often serve as a inkblot test to what has happened in our own lives, and I am no better. But I grew up in Maryland, and I had some dealings with corrupt people in positions of power there, so maybe my perspective cuts a little deeper. In November of 2013, I published a book called ThunderBird Walking that (in part) presents a fictionalized account of my experiences with the State of Maryland. I use the word “rigamarole” to describe the process and feelings associated to dealing with people of privilege in a state government who felt almost no need to hide their corrupted attitudes. The book shows how the fictional character (much like I did) made a federal case out of his life, naming the State of Maryland as a defendant. When the case was dismissed for jurisdictional reasons, the federal judge says “it is not in the interests of justice to transfer the case to the State of Maryland.” A nod to the known corruption there. Martin Luther King, Jr said that “a riot is the language of the unheard.” If the corruption in the State of Maryland is so engrained that they can silence a middle class white man with a good University education, imagine what disempowered people in the city of Baltimore must feel about the people in power. The last few days I have been thinking that perhaps the riots in the streets of Baltimore are some kind of verdict on the corrupt ways of Maryland government, and the silence of my generation. One of the inside jokes or satires of my book is that the writer thinks he is great, but he is actually a ghost — and the reader is supposed to figure out when he died. I am definitely a ghost compared to writers of old who stood up to abuses of power and challenged American to change. 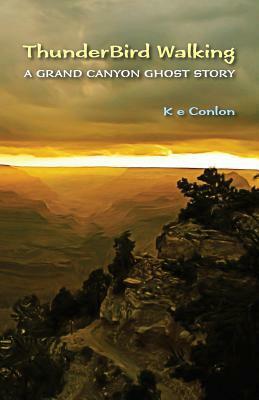 I ran away to the Grand Canyon, and ended up penning a work of fiction because I didn’t have enough money or gumption or people by my side to speak truth in America. The verdict on my generation is coming in, and I think we are all ghosts of our better selves.